Even in the days of airplanes and Hyperloops, there’s just something about trains. 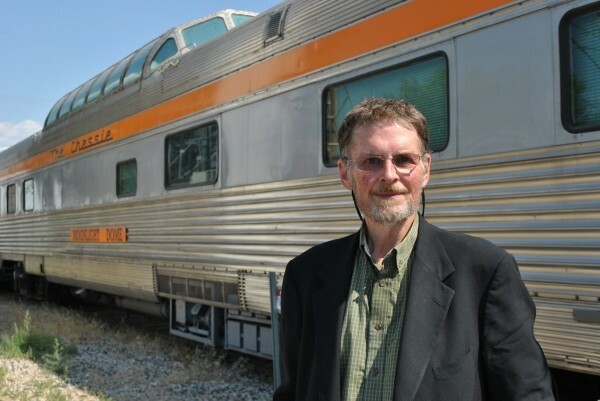 Gerry Lemmons knows this—he’s a member of Utah’s Promontory Chapter of the nonprofit National Railway Historical Society, and president of Colorado’s Intermountain Chapter. 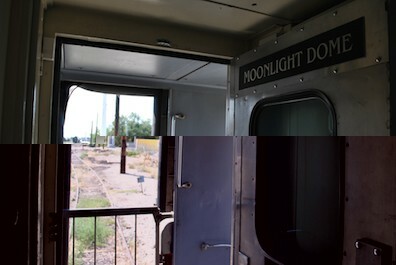 Lemmons, who lives in Colorado and is primarily a white-tux-wearing entertainer at Denver’s Black Crown Lounge, says he “fell in love” when he saw the Promontory Chapter’s train, the Moonlight Dome. 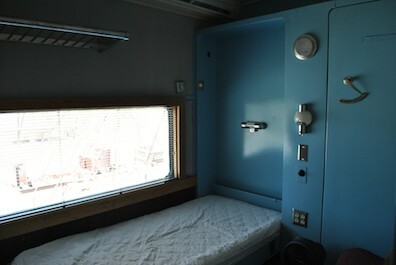 The chapter has spent years restoring the rail car, which is complete with a full galley kitchen, private rooms with fold-down beds, a glass-domed dining area and the Starlight Lounge. On Labor Day weekend, the train, assisted by Amtrak, will be traveling to Denver and back, departing Salt Lake City on Friday, Aug. 30, at 3:30 a.m., and returning at 11:30 p.m. on Tuesday, Sept. 3 (guests are responsible for finding three nights’ accommodation in Denver). The round-trip fundraising journey, which includes meals and wine with dinner, is $550; e-mail Lemmons at moonlightdometrip@comcast.net for more information on the trip or volunteering with the chapter. How is rail travel worth the time? The minute you turn into the mountains at Provo, you leave the highway, and go through the high deserts in Utah and into Grand Junction, with the vineyards and the peaches, and then you start climbing up into the canyons. And when you get to the Continental Divide, you’ll go through the Moffat Tunnel, which is over six miles long and goes under the Continental Divide. When you come down on the other side, coming into Denver, it’s almost like being in Switzerland—there are 20-some-odd tunnels, and the train zigs and zags and finally drops down into Denver. What sparked your interest in trains? I grew up in El Paso, Texas, on a cliff called Sunset Heights that overlooks the old Union Station in El Paso. In those days, Southern Pacific’s Sunset Limited came through twice a day, the Golden State came through twice a day, there was the Texas & Pacific that came through, and then there was a Santa Fe train called the El Pasoan that used to go up to Albuquerque and back, and it connected with the Super Chief. It was absolutely beautiful to look down and see them. And on Armed Forces Day, the railroad used to run a free train from downtown out to the base. Well, I’ll ride that all day long; to hell with getting out and looking at tanks. My first long haul was on the Sunset Limited. I went to New Orleans with my grandmother. And I was hooked—hooked for life. 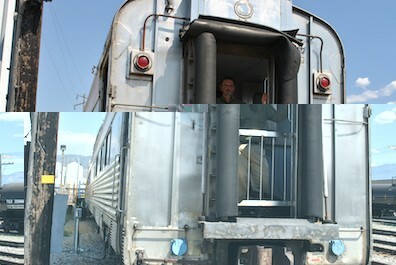 I have done train travel, and studied trains, and had the opportunity to work on private trains. How much time is spent working and how much time is spent using the train? How does one start working on the railroad? Frankly, the chapter is looking for more volunteers—younger men and women who would have interest, especially in the mechanical side. It’s kind of fun to learn from these older guys, who can mentor them. They may not have the physical strength to throw themselves under the car as they once did, but they know what’s going on under there. 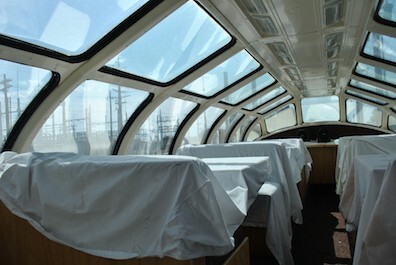 My concentration in rail cars has always been from the carpet up—staffing, meals, that sort of thing. 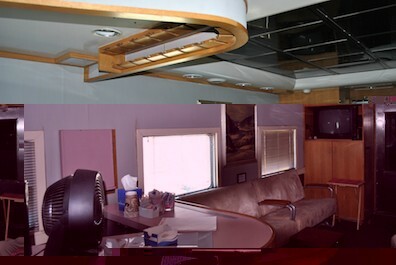 But what goes on under the carpet is vital, because if that doesn’t work, nothing goes. What’s next for the train? This car, ideally, needs a full sleeper to travel with it for a long haul. You’ll never make money with six people—or you’d have to charge them the earth. But if you add a sleeper and another 16 people, then you can come to a price point where it’s palatable, and people have a place to go to bed. That’s what it is—comfort, relaxation, good food, good company and usually a nice view. We’re best in the West. When we go out on the rails, you can see for miles.